Therapy is a process and can help calm the storm, allowing room for self discovery and positive change. Whether we are working short or long-term, we will allow each session to move in the direction needed at that time. Deciding to enter into therapy is a big step and takes courage. It is a unique relationship and therefore essential to create a safe and empowering environment that utilizes authenticity and honesty as pathways toward growth, trust, and self awareness. Clients have found my style to be honest, accepting, respectful, spontaneous, intelligent, creative, and compassionate. You will always have full permission to be and express all of who you are. I work from a client-centered perspective and I believe each person is the has within them the ability to heal and is the expert on their own lives. My role is to collaborate with you on the journey of healing, self expression, and identifying and honoring your unique strengths. As your witness, I will offer my presence, insights, knowledge and deep listening, as well as provide you with experiences and skills aimed at assisting you in healing, growth, and living in alignment with your self-identified values. I use the creative process whenever it is possible and welcome. Good fit is essential, therefore if for any reason, at any time, you find that we are not a good fit, I would be happy to offer referrals in order to better meet your needs. Self-worth and clarifying self-identity (Who am I?). Work with Secondary Survivors (spouses, partners, loved ones of survivors). Sexual orientation and/or concerns related to LGBTQQ (lesbian, gay, bisexual, transgender, queer or questioning) Or outside the binary or labels. Gender or sexual identity concerns (yours or those of a loved one). Relationships (with family of origin, romantic partners, friends, etc.). Life transitions or career changes. Spiritual or religious crossroads and deepening. "I thoroughly enjoy my meetings with you. You have helped me learn so much about myself in the past few months. The tools and knowledge that you have given me, or helped me to discover during our sessions, I use and think about all the time." 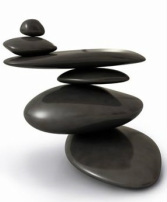 Mindfulness and mind/body or somatic based approaches including Hakomi and Attachment work. Feminist Multi-Cultural Perspective - I approach therapy from a feminist-multicultural lens, taking into account internal and external environments, exploring and considering the intersection of race/class/gender/culture/oppression/ecology and the interplay of these on self, relationships, spirituality and ecological systems. Acknowledging and understanding these influences are essential and will be integrated into our work as they arise. provide what you need or offer you a referral.